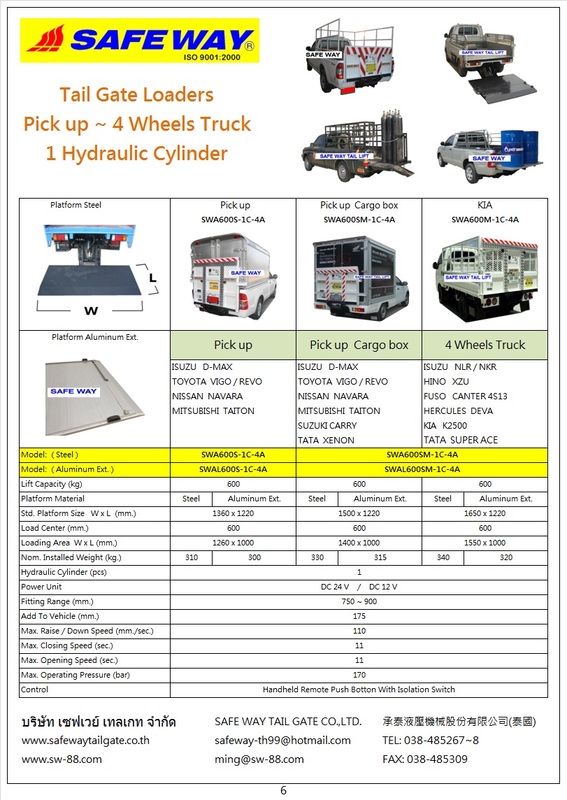 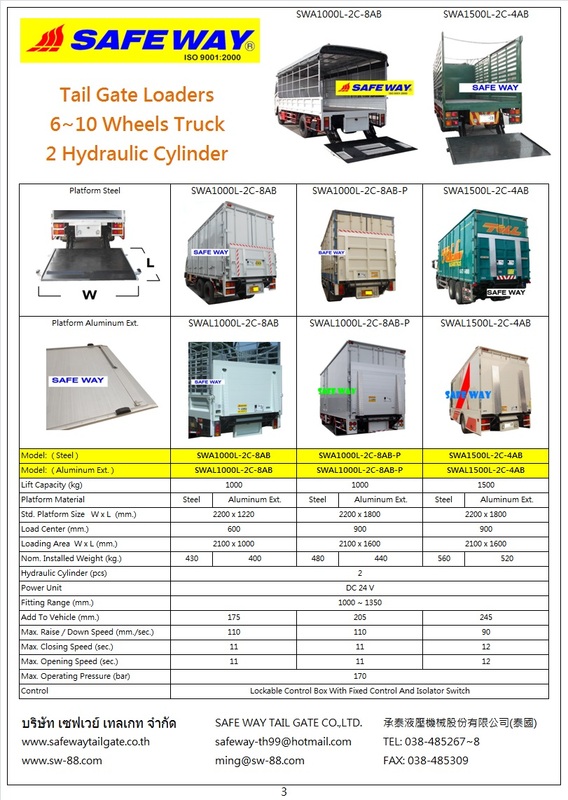 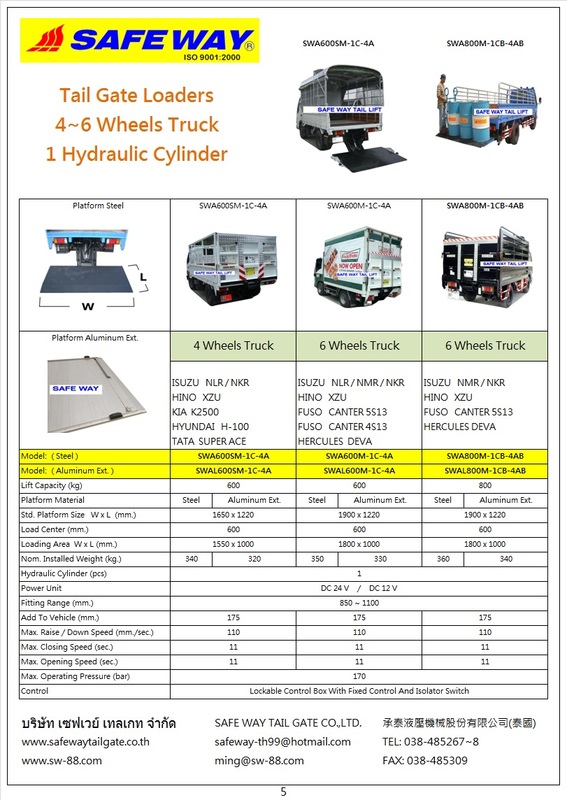 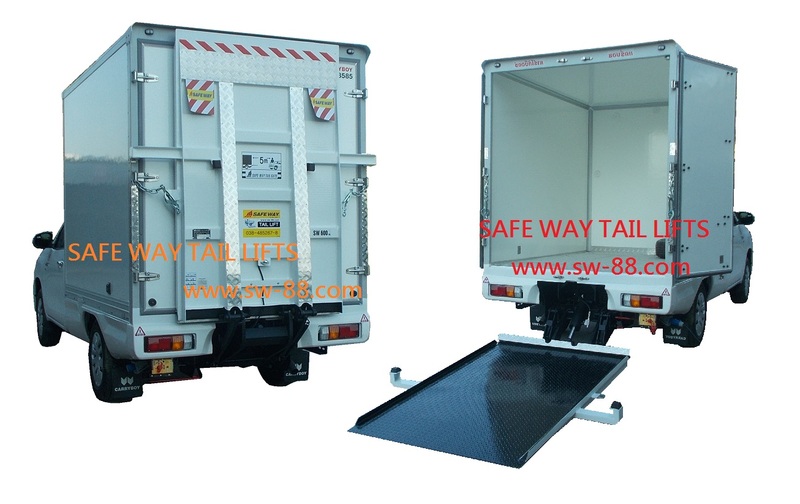 Tail lifts / Tail gate loaders are an integral part of trucks used in local delivery applications. 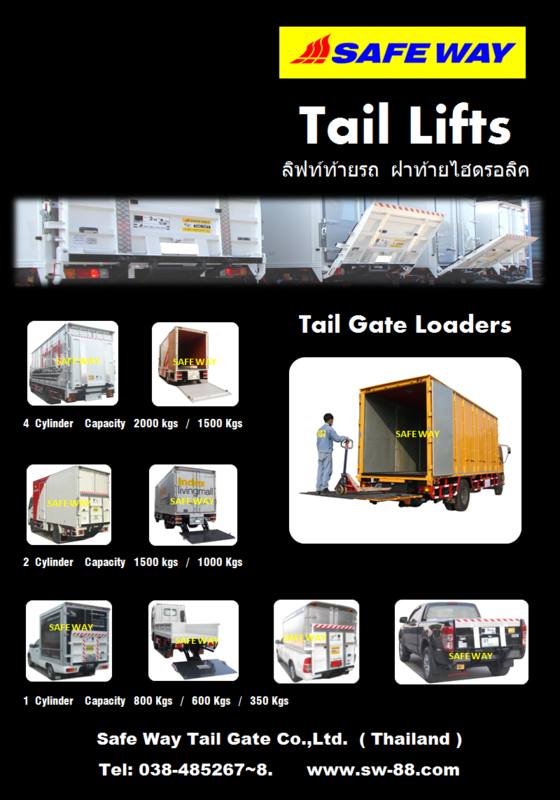 The products to be transported can be loaded and offloaded easily and safely by lifting and lowering the platform. 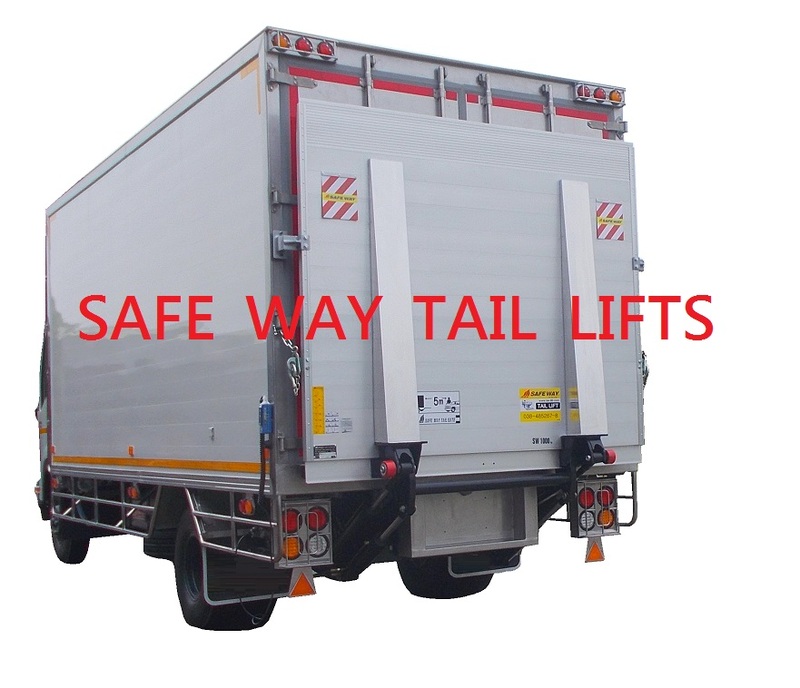 This reduces manual labour and the risk of injury and damage to the goods. 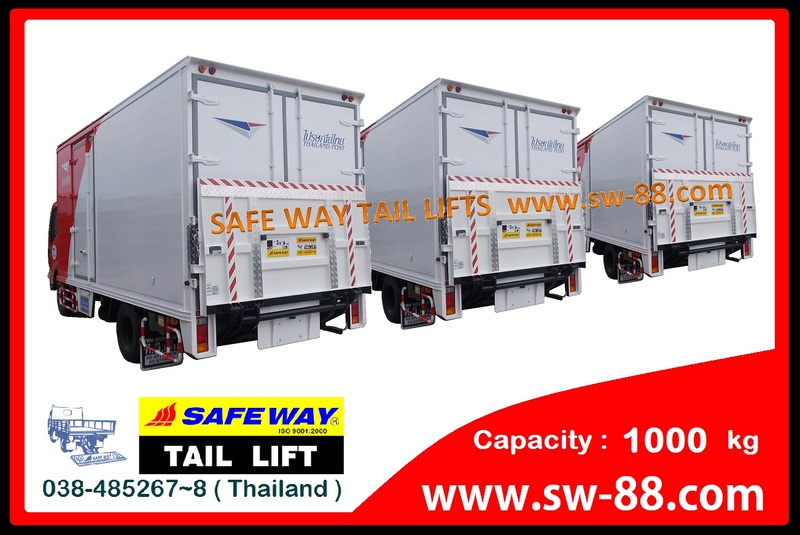 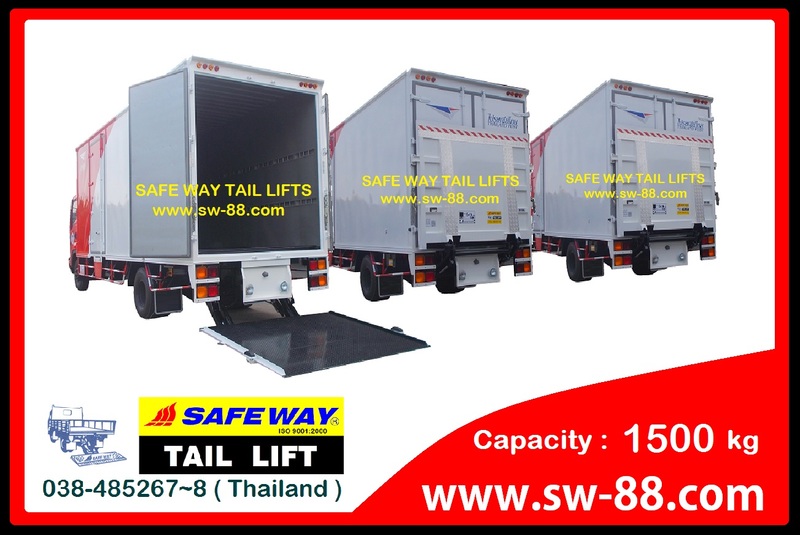 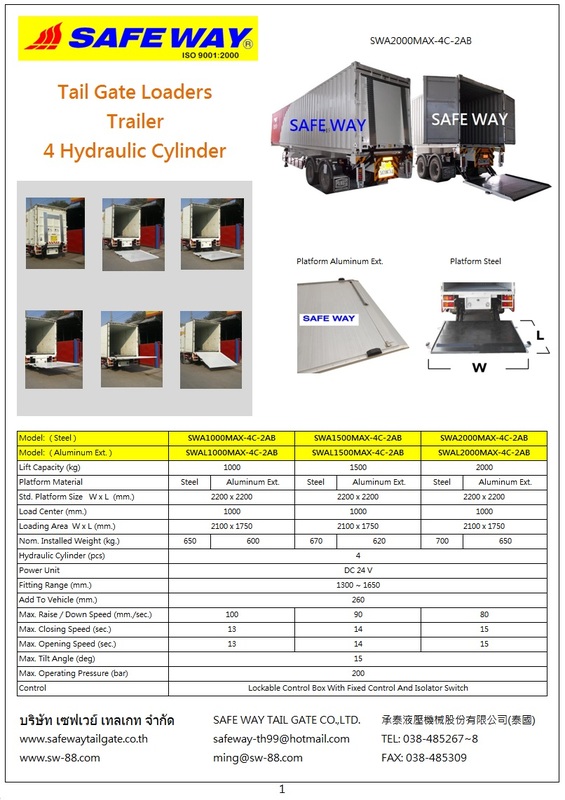 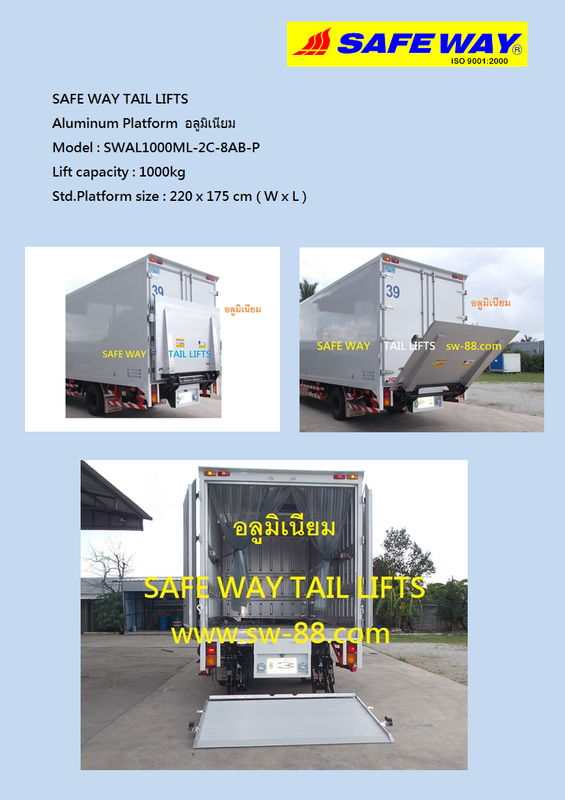 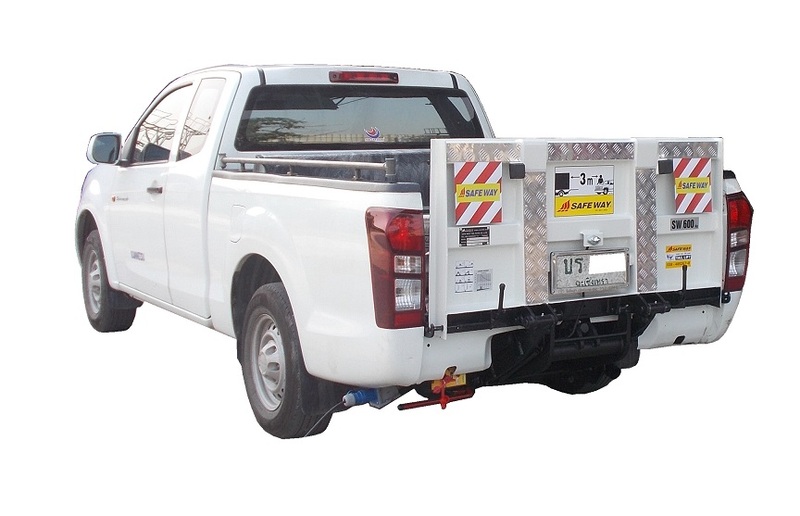 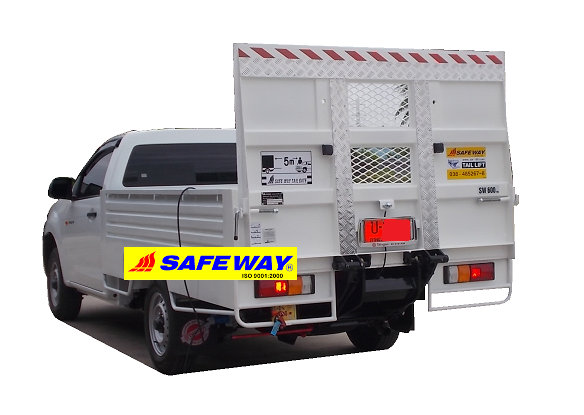 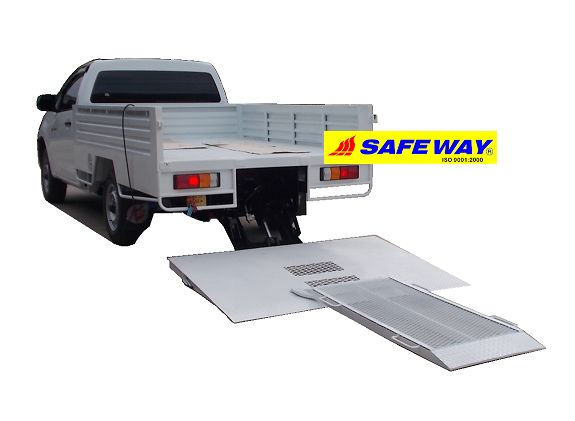 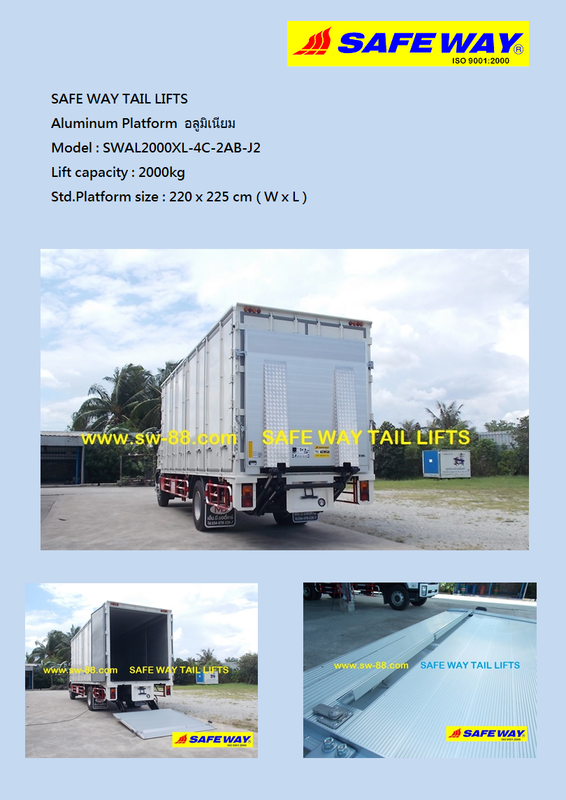 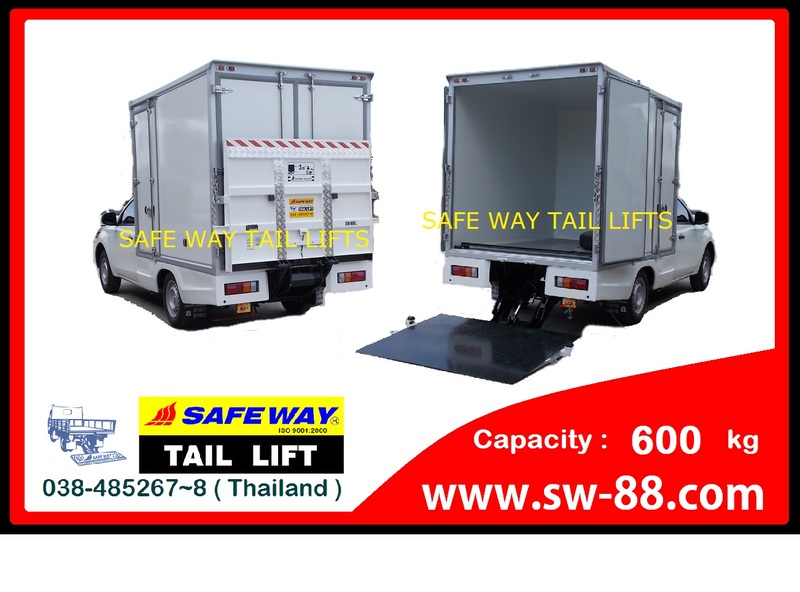 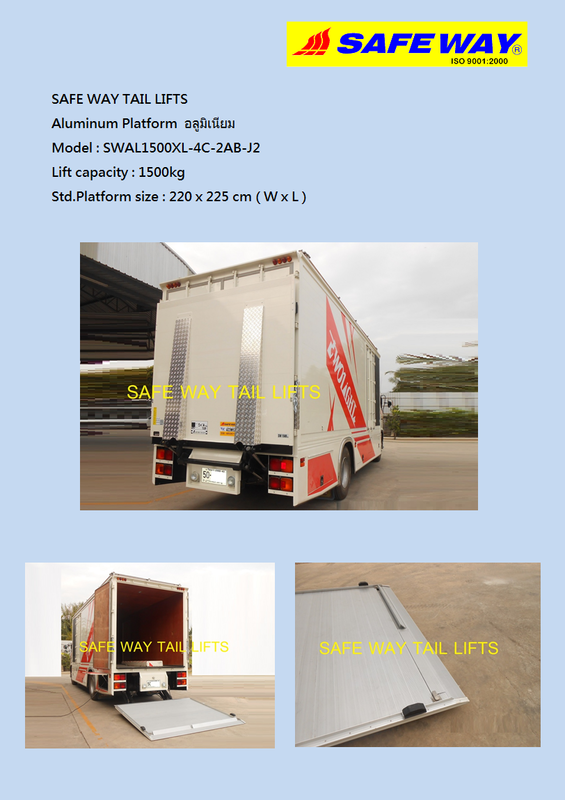 SAFE WAY have a broad product line of tail lifts and bin lifters with lifting capacities starting at 300 kilos and right the way up to 2,000 kilos and able to suit a multitude of applications. 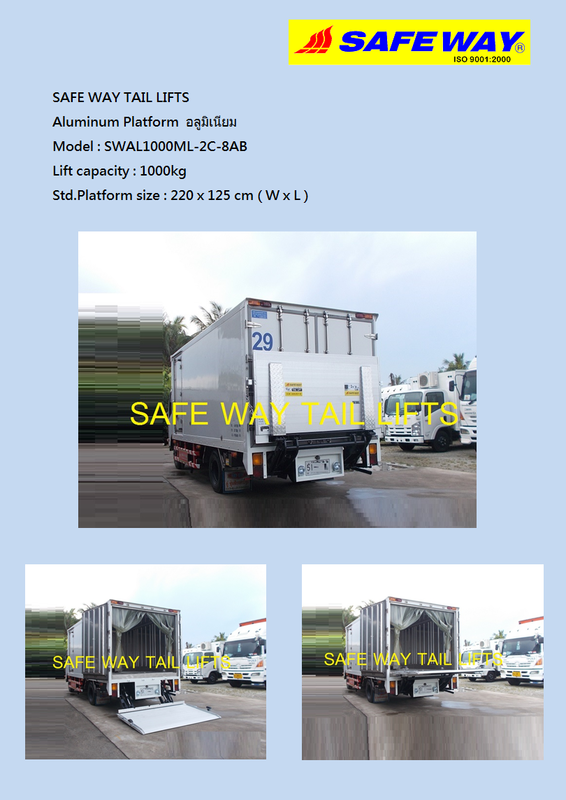 As each and every lift is manufactured to order, we are able to tailor the lift to your exact requirements from deeper working platforms to different types of stops to prevent trolleys/cages moving. 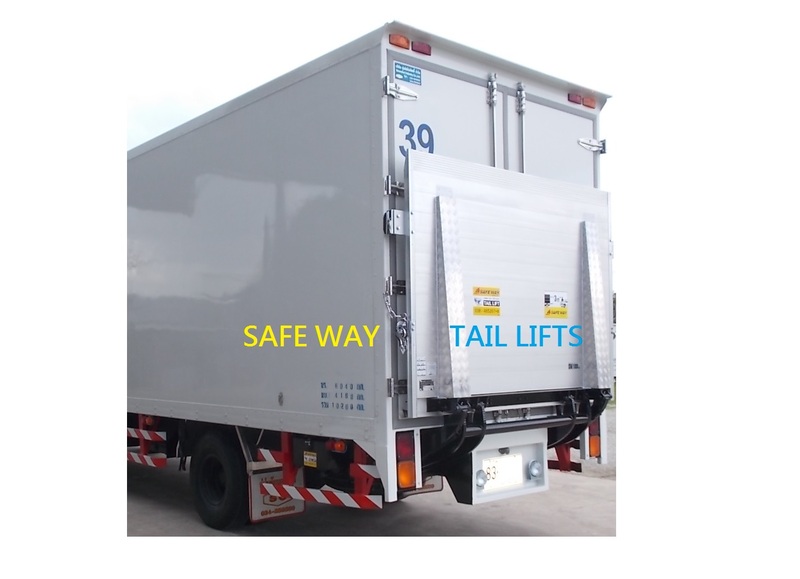 Whatever your lifting requirements, speak to our knowledgeable and helpful team and they will provide you with a solution to match your needs. 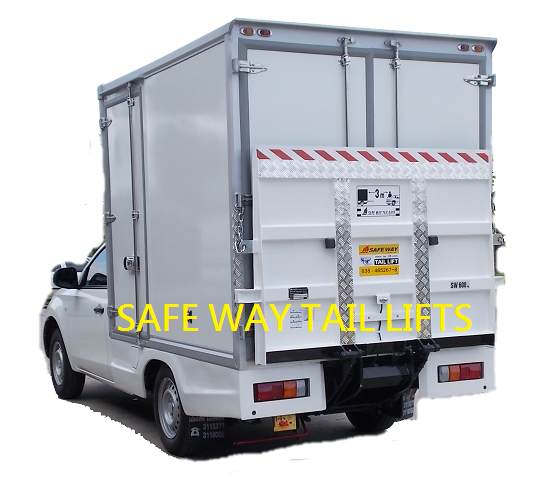 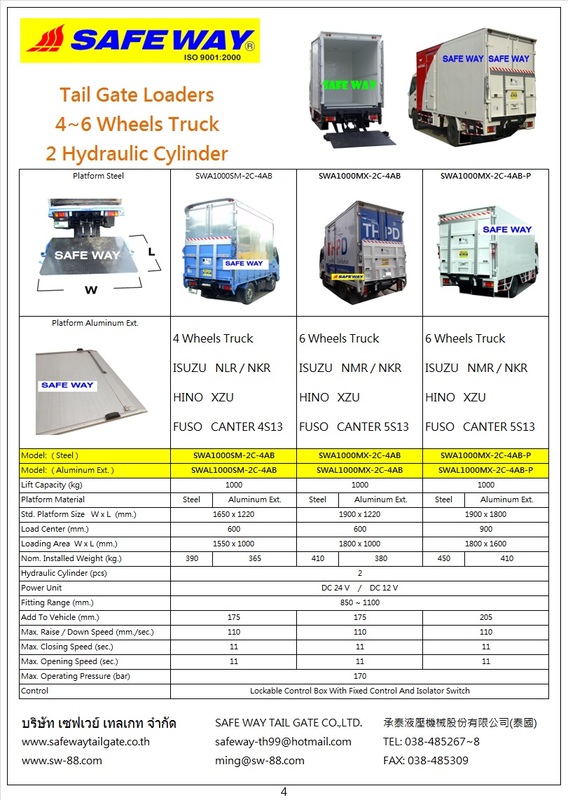 Our product range focuses on providing low installed weights to maximise your vehicle payload. 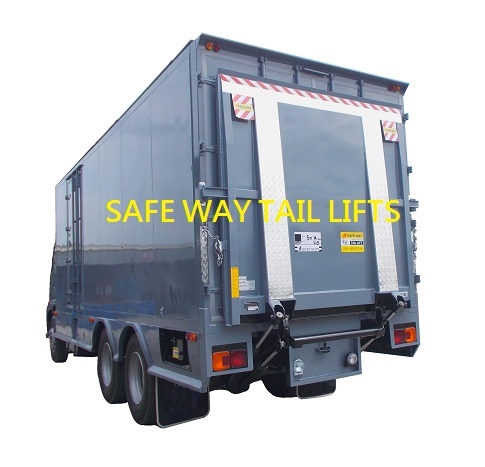 This is done by using the latest computer aided design software allowing us to reduce weights of components without sacrificing strength to ensure you have many years of trouble free operations.